Microsoft yesterday said it will launch Office 2016 for Windows on Sept. 22, and detailed how it will deliver updates and upgrades with a cadence and rules set similar to Windows 10's. Office 2016 will be "broadly available" starting Sept. 22, said Julie White, general manager of Office 365 technical product management, in a Thursday post on the team's blog. Organizations with volume license agreements, including those with Software Assurance, will be able to download the new bits beginning Oct. 1. Week after next, subscribers to Office 365 Home and Personal -- the consumer-grade "rent-not-own" plans that cost $70 and $100 yearly -- may manually trigger the Office 2016 for Windows download at Office.com. In October, Office 2016 will automatically download to those subscribers' devices. The applications will be updated monthly after that, with vulnerability patches, non-security bug fixes and new features and functionality. Consumers are locked into that monthly tempo, and like those running Windows 10 Home, must take the updates as they automatically arrive. But for Office 2016 in businesses, Microsoft plans to reuse the update-and-upgrade release pace pioneered by Windows 10. Office 365 will offer both a "Current Branch" and a "Current Branch for Business," just as does Windows 10. Current Branch (CB) will update monthly and potentially include new or improved features, security patches and non-security bug fixes. Current Branch for Business (CBB), on the other hand, will issue updates every four months, with the same potential content. In the months that Microsoft does not deliver a CBB update, it will issue only security fixes to customers who adopt the branch. Failure to deploy the next CB update means customers won't receive future security updates. For CBB, businesses may defer deployment of the next update -- four months later -- but must adopt the one after that, or face a patch stoppage. Office 365 CBB users, in other words, can retain the feature set of Office 2016 no longer than eight months (two updates). If CBB 1 appears, as Microsoft has pledged, in February 2016, then customers may skip the June 2016 CBB 2 but must deploy October 2016's CCB 3 or be severed from security updates. Those rules and the CBB tempo are also identical -- although not necessarily on the same calendar schedule -- as Windows 10's. Some Office 365 customers will be able to use only the CB: Those include organizations that have subscribed to Office 365 Business and Office 365 Business Professional, plans that currently cost $8.25 and $12.50 per user per month. Firms that subscribe to the pricier Office 365 ProPlus, Office 365 Enterprise E3 or Office 365 Enterprise E4 plans may opt for the CBB track. Those plans run from $12 to $22 per user per month. That, too, is identical to Windows 10, in that the operating system offers leisurely update cadences only to those running the more expensive Windows 10 Pro and Windows 10 Enterprise. There will be no analog to Windows 10's "Long-term Servicing Branch," or LTSB, the track that eschews all but security patches for extremely long stretches. Microsoft may not have spelled it out, but the existence of CB and CBB tracks also plays to its new strategy of passing testing responsibilities to customers, another characteristic of Windows 10. Those running the CB will, in effect, serve as guinea pigs as changes roll out to them monthly; their feedback and complaints will be used by Microsoft to tweak or fix problems before the code reaches customers running the CBB. Although Microsoft has burdened Office 365 and the locally-installed Office 2016 apps that compose the core of a subscription with a slew of new terms and rules, the changes are in some ways more clarification than procedural, argued Wes Miller, an analyst at Directions on Microsoft. "Before, we didn't know when these [Office 365] updates were coming," said Miller. "Now, they're giving us the classifications of what updates will come when." The similarities of the Windows 10 and Office 365 release rhythms; the lexicon, including CB and CBB; and the patch stick brandished to motivate customers to update, are all intentional, Miller added. "Microsoft's giving relatively similar nomenclature for its two major desktop endpoints, Windows and Office," he said. But Miller contrasted how Office 365 -- which currently is based on the Office 2013 application suite -- is managed by organizations with the methods outlined for Office 2016 within the subscription plans. Now, once a business adopts Office 365, it points workers to the Office 2013 downloads. They install the applications locally on their devices, and from that point, Microsoft, not the organization, "owns" the maintenance via updates. "If an IT team wanted to own Office maintenance, it had to download the transformation tools [the Office Customization Tool, or OCT], take the installer from Microsoft and modify it," said Miller. The IT-derived installer would then be offered to employees. "From that point, the organization owns the updating," Miller continued. He called the process "a little burdensome" -- an oft-heard complaint from business subscribers and their supporting IT staffs. Under Office 2016, shops that subscribe to Office 365 will be able to more easily "own" the updating process by selecting the appropriate branch for each employee or groups of employees. While IT will still rely on the OCT to craft custom installers, the revised tool -- not yet available -- will support branch selection, Microsoft said in a support document. The multiple update tracks Microsoft has outlined will only apply to Office 2016 within an Office 365 subscription, Miller said. Traditional licenses, dubbed "perpetual" in that once paid for they can be used for as long as desired, will not be able to adopt the CB or CBB. That's in keeping with Microsoft's long-running scheme to make Office 365 more attractive than perpetual licenses, whether purchased by consumers one at a time or by businesses in bulk, by virtue of its accelerated release schedule. 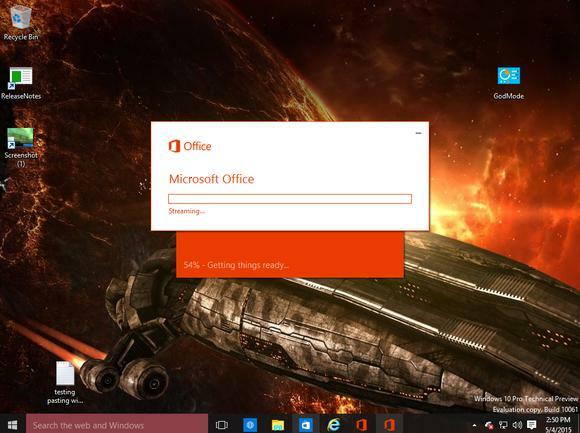 Office 2016's debut later this month will also start a clock on Office 2013 for Office 365 enterprise subscribers. "You can continue to use and receive security updates for the Office 2013 version of Office 365 ProPlus for the twelve months after the release of Office 2016," Microsoft told users. "After 12 months, no additional security updates will be made available for the Office 2013 version. Therefore, we strongly recommend that you update to the Office 2016 version within the first twelve months that it's available." The first CB of Office 2016 will be released Sept. 22, and the first CBB update will appear some time in February 2016. Microsoft has not yet set the price of individual perpetual licenses sold at retail, or even said whether those would go on sale this month: The company did not reply to questions about retail availability. More information about the changes to Office's updating can be found on Microsoft's TechNet website. It's complicated: With the upcoming Office 2016, Office 365 business subscribers will be able to defer feature and functionality changes for up to eight months.